Roll up, roll up to find out what will be going on in the historic cathedral city of Lichfield over the coming months. 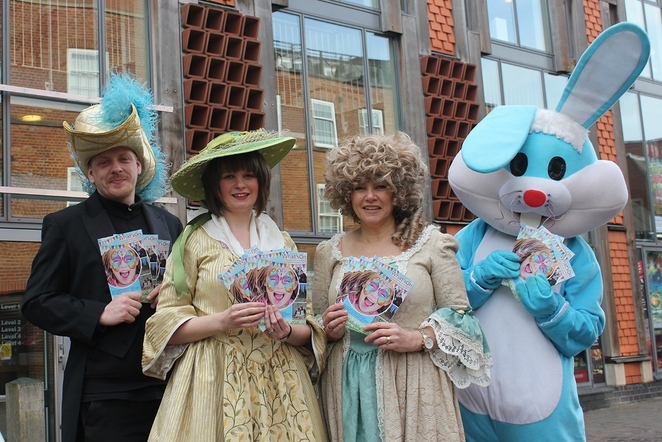 Lichfield District Council has joined forces with some of its local partners to launch a What's On brochure that contains listings over the spring and summer, from March right the way through to the end of August. The What's On guide is the best way of discovering events taking place across Lichfield district and the surrounding areas. 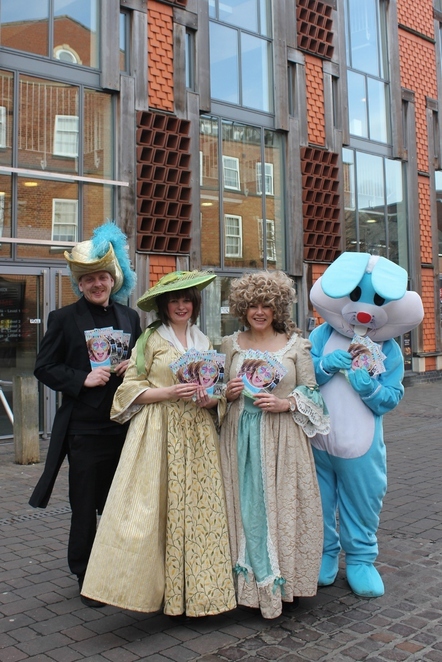 Dan Ingleby from the Lichfield Garrick, Jo Wilson from The Samuel Johnson Birthplace Museum, Tracy Newton from Erasmus Darwin House and Visit Lichfield's Rachael Evans dressed up as Warren – Beacon Park's Easter bunny! Visit Lichfield, which is the name given to Lichfield District Council's Tourism Team, has put the finishing touches to its What's On brochures, which have been sent out to local homes during the course of March, ready for the spring and summer seasons. 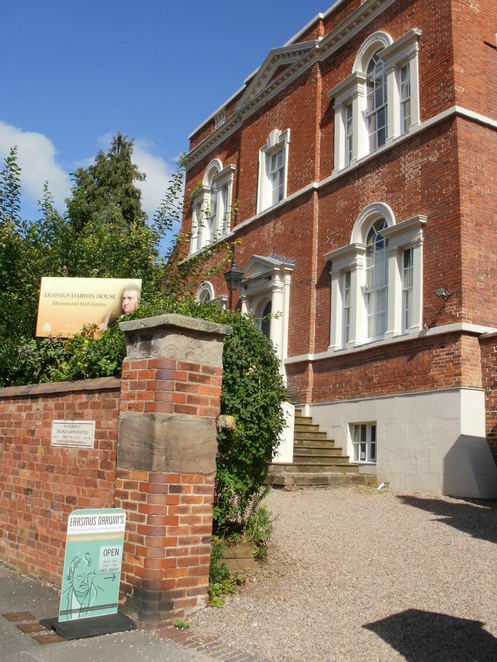 Included within the list of events is Beacon Park's Easter trail, Sam's Easter Detective Trail at The Samuel Johnson Birthplace Museum, and Easter at Erasmus Darwin House, which includes an Erasbunny trail, tours and more. The brochures are also an invaluable resource to planning the summer festival season, with Lichfield Greenhill Bower, Lichfield Home and Garden Festival, Lichfield Blues and Jazz Festival, Burntwood Wakes, Fuse Festival, Lichfield Festival, Lichfield Food Festival and more. 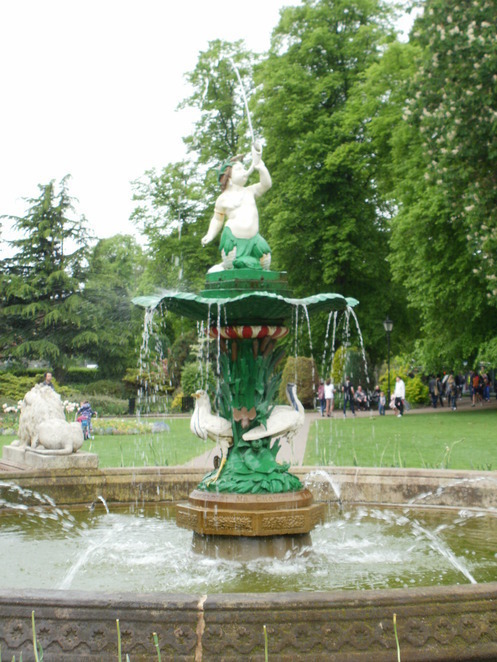 There is also a lot going on at Lichfield's Beacon Park apart from the forthcoming Easter trail. This includes the first Drive-in Movie, Grease, which will be playing in Beacon Park on August 12, and Lichfield Proms which will end the summer in style. This year Visit Lichfield will also be promoting the Garrick300 festivities which celebrate the 300th birthday of famous actor and writer David Garrick with special productions at the Lichfield Garrick theatre, including the Shakespeare play Cymbaline, as well as talks, workshops, children's activities, a Garrick300 Community Party on Staffordshire Day, and a Georgian Gardens Weekend taking place at venues across the city and district. Councillor Helen Fisher, Lichfield District Council's Cabinet Member for Tourism & Communications, said: "The spring and summer What's On brochure is packed with events and activities to appeal to the whole family. It's such a handy way to plan your upcoming diary, so make sure you keep hold of your copy." The What's On brochures have been sent to local homes and are also available at Tourist Information in St Mary's in the Market Square and other visitor attractions across the city and district.